Working from a live portrait model, on this course you’ll learn key strategies to help you complete a portrait and begin experimenting with new approaches. 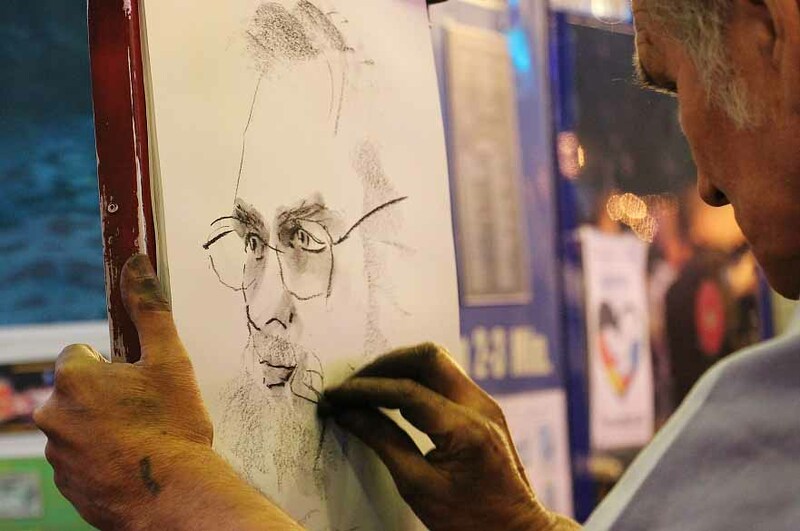 It will start by covering essential topics such as facial proportions, composition, mark-making techniques and shading. Moving beyond this, you’ll then have the opportunity to explore your own individual creativity by creating contemporary portraits in drawing, painting and collage-based practices to push the boundaries of what a portrait could be, particularly beyond developing a physical ‘likeness’. The aim of the course is to allow you the opportunity to explore your own creativity and develop portraits using a variety of different artistic mediums or approaches. This course is suitable for beginners from any background, as well as those who have previous life drawing or creative experiences. Practical assignments will be underpinned by art historical references, and talks will take place to highlight different approaches to portraiture. By the end of the course you’ll have explored your individual creativity, developed your observational skills and be inspired to continue developing your individual approach to portraiture. Tutor profile: Daniel Fountain is an artist and lecturer based in the Midlands. After teaching for several years, he’s currently studying for a PhD related to his fine art practice. Daniel has an MA in Arts Management at King’s College London, where he worked alongside professionals from the Tate Gallery and V&A. He has also received prestigious commissions from local institutions. receive one-to-one feedback and group critiques.